Around all micromouse players in the world, the magnetic buzzer from PUI Audio SMT-0540 is the most commonly used for a long time due to its compact size and great sound quality. The package yields 5x5x2.1mm size which is the smallest I can find with proper power supply range and loudness. Earlier this week I recieved an E-mail from digikey about the release of the new version of PUI’s mini buzzer: SMT-0440. 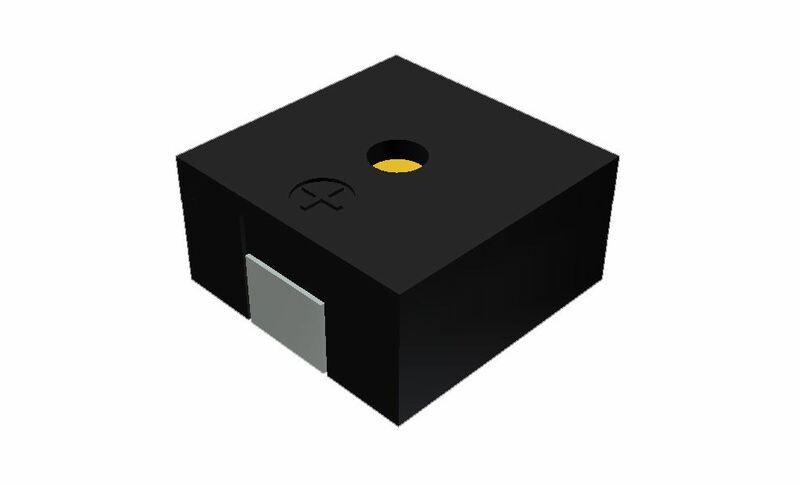 Explained by its name, SMT-0440 is sized at 4x4x2.1mm compare to 5x5x2.1 for SMT-0540. 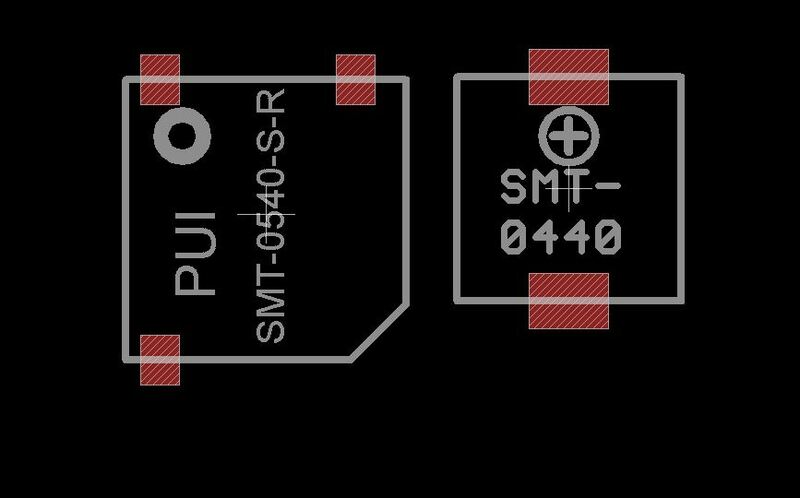 It also removed the dummy pin that on the SMT-0540, therefore only 2 solder leads are remaining for SMT-0440 which makes the solder pad more like a regular SMD inductor now(Although magnetic buzzer is essentially a inductor). This is defenitely a good news for me since the smaller size will always be helpful for PCB design with limited space, such as half-size micromouse. Other than the size difference, the output power level is also slightly lower than SMT-0540 as a trade off with a smaller size. The picture above shows the size difference in layout mode in Cadsoft Eagle. Notice there are 2 sub versions of SMT-0440 where one is SMT-0440-T-R which has a hold of the top for sound to come out, and the other one SMT-0440-S-R, has its sound hold on the size(only on one side). I can’t wait to use this tiny creature on my next project. Cool find! Why did you have a change of heart with bluetooth? Also, isn’t any wireless modules generally frowned upon for competition? I know a team was forced to remove their bluetooth module from their mouse at Region 1, I’d recommend finding a way to make it easily removable so to avoid complaints. just for data logging without change the gravity center(more of the research based instead of intentional for cheating, and there is nothing to cheat anyway, if antenna is removebal then BT can be disabled somehow). I will rip the bluetooth off when required, haha. Looking in to micromouse for the first time. What are the buzzers used for?